AECOM is a global network of experts working with clients, communities and colleagues to develop and implement innovative solutions to the world’s most complex challenges. Delivering clean water and energy. Building iconic skyscrapers. Planning new cities. Restoring damaged environments. Connecting people and economies with roads, bridges, tunnels and transit systems. Designing parks where children play. Helping governments maintain stability and security. – Due to our strong pipeline of projects, AECOM is looking for an Economist/Financial/Business analyst for projects in Tanzania. The projects are infrastructure projects involving ports and marine. The analyst shall be responsible for undertaking Traffic/Economic/Financial/commercial assessment of the project. – Must have a postgraduate degree in the field of economics/finance/commerce and not less than 10 years of practical experience in undertaking feasibility studies for transport infrastructure development projects, including but not limited to assessment of traffic demand, traffic forecasting, economic and financial analysis and investment planning. He/she must have been involved in study and design of at least 3 marine projects in a similar post for projects of similar nature and complexity. – Structural/Civil Engineer for projects in Tanzania. The projects are infrastructure projects involving ports and marine. – If you would like to be the first one to hear about this opportunity when it will arise, submit an expression of interest now and let’s stay in touch. – The Structural/Civil Engineer shall be responsible for studies and design of civil and engineering structures. Registered Professional Engineer by relevant board with a valid practicing license and possessing a bachelor’s degree or equivalent qualification in structural/Civil Engineering.The Structural/Civil Engineer shall possess not less than 10 years of general knowledge in at least 5 development projects in structural design and transport infrastructure. The Structural/Civil Engineer must have been involved in study and design of at least 3 marine projects in a similar post for projects of similar nature and complexity. – Due to our strong pipeline of projects, AECOM is looking for a Services Engineer for projects in Tanzania. The projects are infrastructure projects involving ports and marine. – The Services Engineer shall be responsible for transport studies and design of service facilities. i/ Registered or chartered Mechanical or Electrical Engineer or Building Services Engineer, with at least a bachelor’s degree or equivalent qualification. 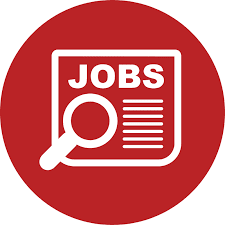 Services Engineer shall be required to have not less than 10 years of experience in designing transport services infrastructure projects of similar nature. He/she must have been involved in study and design of at least 3 marine projects in a similar post for projects of similar nature and complexity. ii/ Nationality is a requirement. 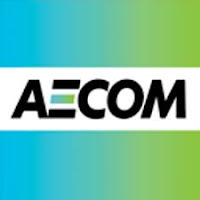 -Due to our strong pipeline of projects, AECOM is looking for a Project Team Leader for projects in Tanzania. The projects are infrastructure projects involving ports and marine. Project Team leader will be responsible for the overall management and supervision of the project in terms of target achievements and quality performance. The Team Leader is expected to have qualifications in port management and operations and have a postgraduate degree in Business Administration, Economics Engineering/Management and must have vast experience of not less than 15 years in undertaking feasibility studies for transport infrastructure development, designing and implementing PPP projects, managing multi-disciplinary projects, contract administration and supervision of projects. The Team Leader must have been involved in undertaking at least 3 projects of similar nature and complexity as a Team Leader for at least 7 years. – Ability to work in Tanzania due to nationality would be an advantage. Due to our strong pipeline of projects, AECOM is looking for a Liquid Bulk Operations Specialist for projects in Tanzania. The projects are infrastructure projects involving ports and marine. The Liquid Bulk Operations Specialist shall be responsible for all liquid bulk operations related to the project. The Liquid Bulk Operations Specialist shall have experience in liquid bulk operations with not less than 10 years of experience in similar capacity for similar projects in nature and complexity. The expert is required to be a graduate with background liquid bulk operations. Fluency in written and spoken English is mandatory. Due to our strong pipeline of projects, AECOM is looking for an Environmental Specialist for projects in Tanzania. The projects are infrastructure projects involving ports and marine. The Environmental Specialist shall be responsible for environmental studies. Must be a graduate with a background in environmental science and must be registered by NEMC as EIA expert. The Environmental Specialist should have proven experience of not less than 5 years in undertaking environmental studies for transport infrastructure development projects. Experience in the ports sector will be an added advantage.